Laparoscopic lateral pancreaticojejunostomy (LLPJ) in patients with chronic pancreatitis is scarcely reported. This study aimed to describe a technique of LLPJ and to report an early experience. The described technique of LLPJ was used in 24 patients with chronic pancreatitis (CP) starting from January 2012 to April 2017. Clinical characteristics, technical success and post-operative outcome were analysed. Out of 24 patients, 13 patients (54%) were male and mean age was 30.9 years. Incidence of tropical CP was 87.5% and of alcoholic CP was 12.5%. Incidence of exocrine and endocrine deficiency was 25 and 16.6%, respectively. Median diameter of pancreatic duct (PD) was 10 mm (range, 7–20 mm). Conversion rate was 29.2% and reasons for conversion were technical difficulty in intra-corporeal suturing, failure to localise PD and bulky head requiring Frey’s procedure. In addition to LLPJ, four patients required other procedures like pseudocyst drainage, choledochal cyst excision and hepaticojejunostomy. Intra-operative and post-operative complications occurred in 4.2 and 8.4% patients, respectively. Overall outcome was excellent in 70.8%, good in 25% and fair in 4.2%. Mean follow-up was 26 months and during that period one patient (4.2%) died due to myocardial infarction. 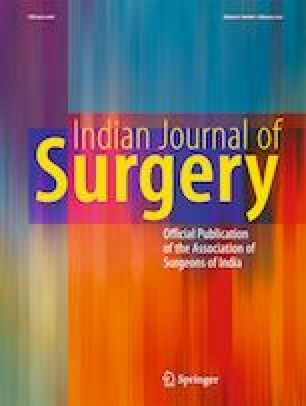 The described technique of laparoscopic lateral pancreaticojejunostomy is safe and feasible in selected group of patients with chronic pancreatitis.